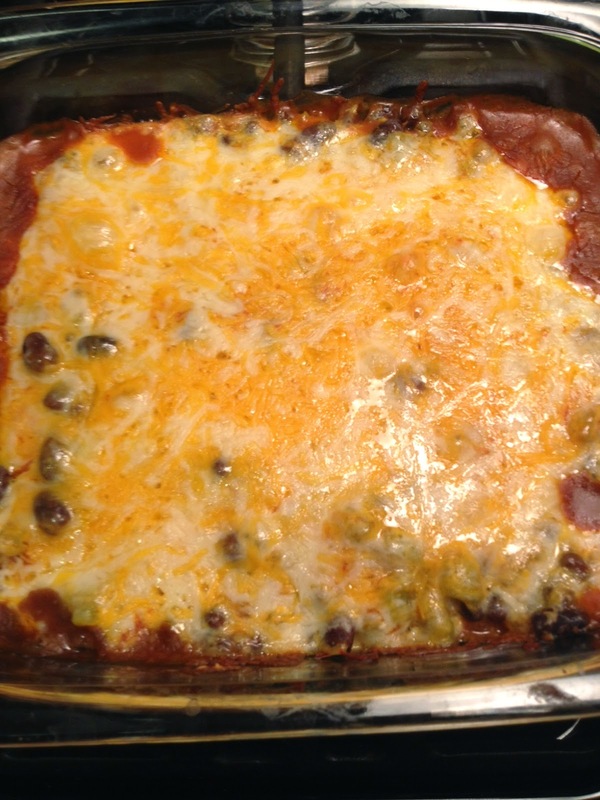 I’ve been looking for a good enchilada casserole recipe for a while but even the easiest ones seemed to take a little too long for a weeknight meal. I didn’t want to have to cook the meat first, then assemble, and then start cooking the whole thing in the oven. Thankfully, Trader Joe’s had me covered. 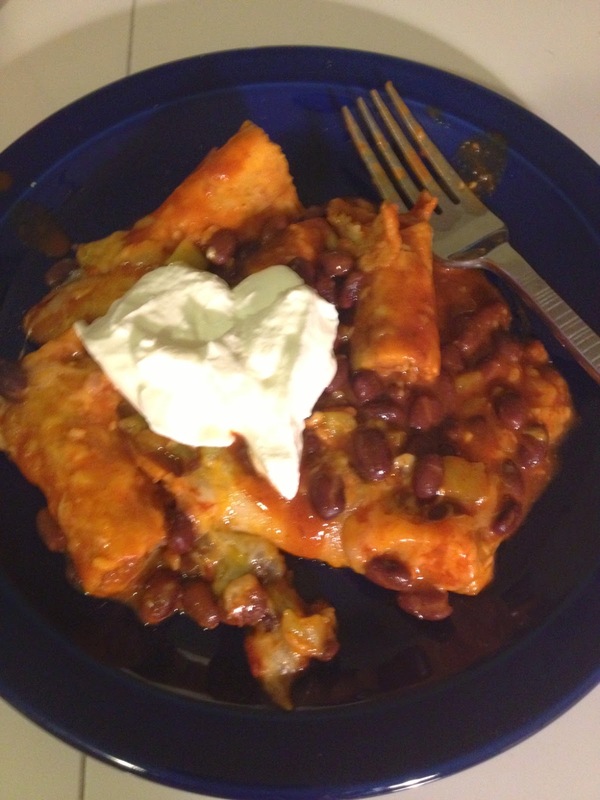 I found this recipe for taquito-lada casserole on their website and used it as my base. I added a few extras to make it a bit heartier. After layering their frozen beef taquitos in a dish, I added a can of black beans because I figured whatever meat was inside the taquitos would be on the minimal side and I wanted some extra protein. Then I poured a bottle of enchilada sauce over the top (I love that this sauce comes bottled!). Just before covering the whole thing with cheese, I added fire roasted green chiles for some sweet heat. The assembly took a total of 5 minutes and the whole thing is only sitting in the oven (at 425) for 20 minutes. Once it comes out, I strongly suggest adding a dollop of sour cream to the top. If you don’t have a Trader Joe’s (and therefore no access to their taquitos, I suggest layering shredded rotisserie chicken on the bottom, top with corn tortillas, and then layer the rest as described above. Mexican take-out is never as good as going to a restaurant, but I just can’t be going out to eat all the time during the week – I don’t have the dinero. This is the perfect way to enjoy Mexican flavors at home during the week for little money and – even better – little clean-up. Tags: Casseroles, Mexican, Trader Joe's. Bookmark the permalink.